Is it just us, or are winter accessories having a major—and we mean major—moment right now? Chalk it up to the fact that we’re now dealing with temperatures below freezing in most parts of the country or that we’re returning to some of the more old-fashion trends, but we’ve been seeing a rise in stylish winter gloves. And in the best kind of way, it’s making us do a double take. We first saw the old-school accessory trend make its way down the fall 2018 runways from designers like Chanel and Calvin Klein, informing everyone that gloves have returned—and the accessory is not just intended to keep your hands warm. Though the practical aspect of wearing gloves may be apparent, it’s the feature of styling that has us intrigued. Wear long, opera-style gloves to give your party look instant polish, or keep a pair of classic black gloves for your everyday ensembles this winter. Now, scroll down to shop the cool gloves you’ll want to add to every outfit this season below. You'll look so cool with these striped gloves. Wear these to a party this season. We're still not over leopard print. You'll feel like royalty wearing these. You're sure to stand out with these gloves. 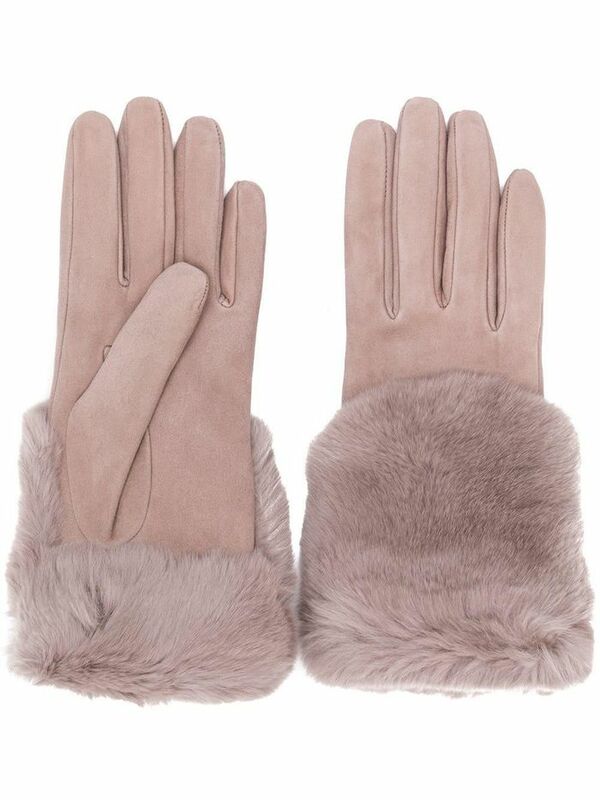 Hot pink gloves will look so chic this winter. Add a pop of color to your winter ensembles. The texture of these will feel so nice. Now go forth and finish off your outfits with a bit of old-fashioned flair. You can't go wrong with any of the above choices.